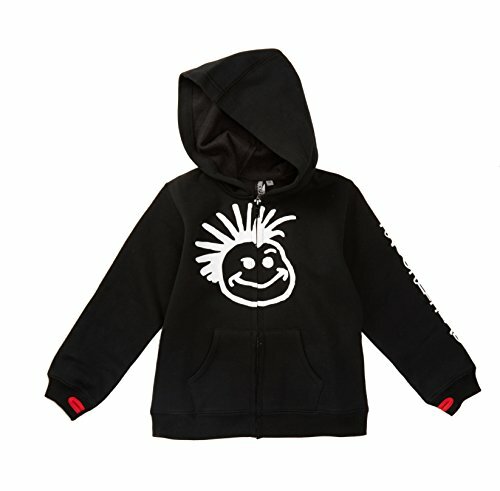 Your mini-man can boast his Knucklehead Logo on this long sleeve zip hoodie, keeping him nice and warm. Perfect for layering, the jacket features front pockets and thumb holes. Made of cotton fleece, it's super-soft and perfect for everyday-wear. In a market that is notoriously limited for boys clothing, Knuckleheads has created a line that moms and kids will love and dads will envy. Founded in 2004, Knuckleheads caters to parents who are looking for premium fashion accessories for their babies, toddlers or young kids wardrobe. We focus on high quality designs, unique styles and amazing customer service. If you have any questions about this product by Born to Love, contact us by completing and submitting the form below. If you are looking for a specif part number, please include it with your message.